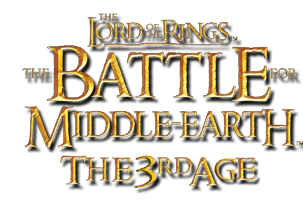 Immersive Middle Earth was designed to improve the quality of BFME 1. There are a lot of big changes made in this mod but the integrity of the base game remains largely the same. Portions of the mod are reactivated and reworked unused assets within the game's files. This mod is compatible with the recent HD Skin/Model Mod and has complete Good and Evil Campaign functionality. To install, simply open the file directory and replace the game files with the mod files. Recommended to back up the game files before running the mod. WORKS BEST IF BASE GAME WAS UPDATED TO THE OFFICIAL PATCH 1.03. Remove _patch105.big and _patch106.big files if the unofficial patches were installed as they overwrite a majority of the mod coding. Keep _106patchtexture file unless using the HD rework mod. Remove the _WSMaps file if you do not like zooming out that far. Note: While the mod is essentially complete, updates will continue to be released in order to address performance issues, faction balancing, and glitches. If there is anything you do not like about the mod and/or want to change, I can do walkthroughs, send links to help, or even make a personal variation to help make the Immersive Middle Earth experience that you want (within reason and in the scope of the mod). Keep in mind I am a novice at modding so there is only so much I can do. I am personally looking for reviewers and people willing to test out the balance of this mod in pvp sessions. Please send a personal message or go on the mod's forum about any questions or concerns.